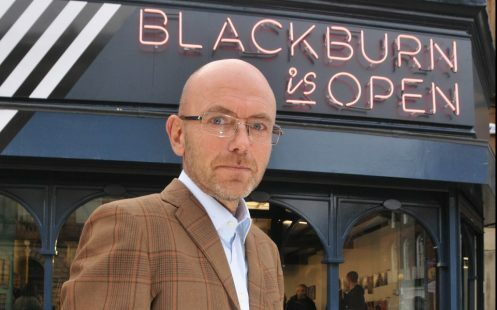 Blackburn town centre has been awarded the accolade of Britain’s Best High Street! The awards that were announced on Monday saw Blackburn’s high street win the ‘Best Town Centre’ category and also crowned the overall winner beating 26 other finalists to take home the ‘Great British High Street of the Year Award’. Judges were particularly impressed with the town’s multi-million pound redevelopment and the work that has gone into creating a vibrant town centre for people to visit and enjoy. So here’s a few reasons why judges decided to give us the top spot. 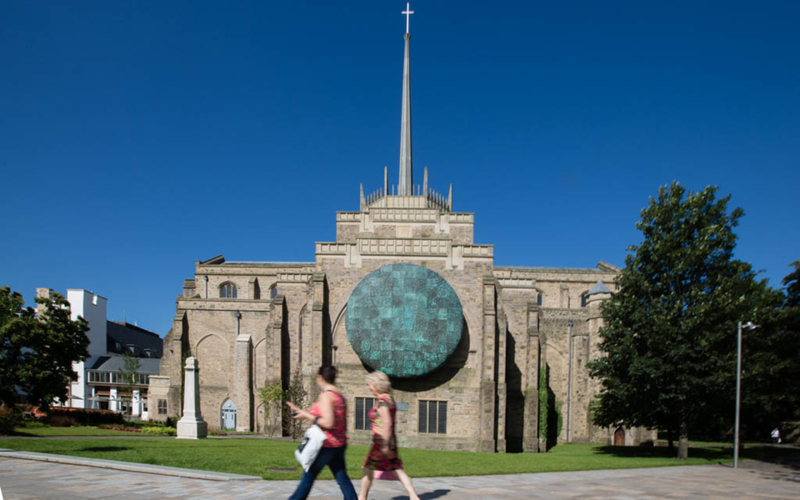 The £30 million Cathedral Quarter development has seen a massive transformation of the area around Blackburn Cathedral. At the heart of the development is the new iconic £8.5m Cathedral Court Building, the first new complete set of Cathedral domestic buildings to be built for 600 years. 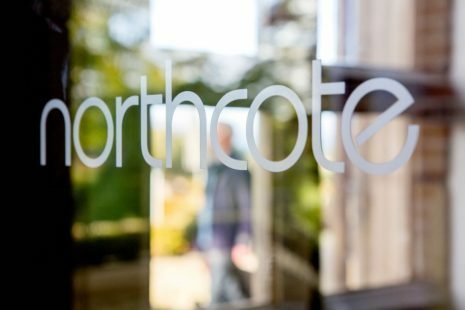 The creation of Café Northcote at Blackburn Cathedral, from the team behind the Michelin starred Northcote restaurant and hotel, has also seen the area become a real destination for visitors. 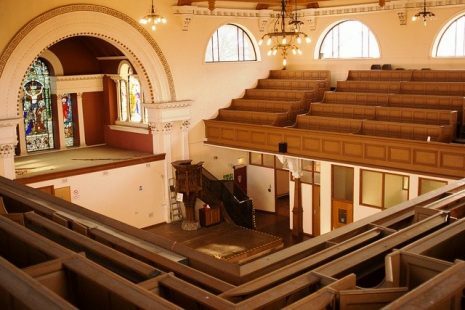 The impressive neo-classical Victorian building concert hall that over the years has played host to the likes of the Beatles, Bowie and Robbie Williams is today one of the North West’s most popular venues. Still attracting the likes of Paul Weller, The Courteeners and You Me at Six, the hall also has a packed programme of classic concerts and comedy nights. 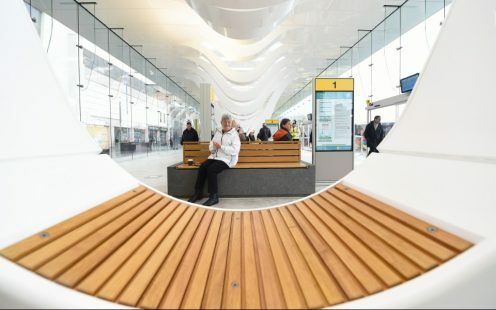 Blackburn’s new bus station opened at the beginning of May and was recently given the thumbs up in a survey of around 1,000 bus passengers. The bus station, that has 14 stands, is staffed from the departure of the first bus in the morning until the last departure at night. Its contemporary design includes glazing 10 metres wide and 90 metres long installed in a frame that is supported by six sculptural loops inspired by the cotton weaving looms of Lancashire’s industrial heritage. Recent years has seen a flourishing cultural scene making use of previously empty buildings. The Bureau Centre for the Arts that has opened up in St Johns Church on Victoria Street has a vibrant programme of music, theatre and community arts. 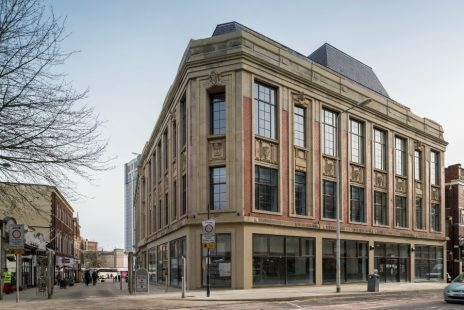 Earlier this year The Making Rooms, a digital creative hub threw open its doors in the former Bentleys Café Bar on Exchange Street. It boasts one of the country’s best equipped Fab Labs for small scale digital manufacturing to develop products, artwork or bespoke designs. Funded by Arts Council England, Blackburn with Darwen Council and the Lancashire Enterprise Partnership LEP, it also has a coffee bar, exhibition space and two floors of workspaces for start-ups, training or meeting rooms. And work is underway on the revival of another much loved building, the former Cotton Exchange on King William Street. 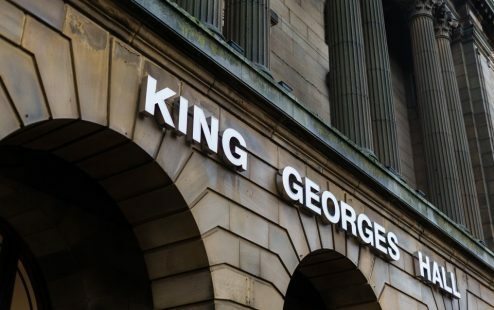 The Grade II listed building has been bought by charity Re:Source which is currently looking at a number of possible uses for the building such as a business or arts centre. One of the first purpose built free museums to open outside of London in 1874, Blackburn Museum and Art Gallery houses a rich and fascinating collection covering fine art, decorative art, Egyptology, coins, manuscripts, natural history, social history and South Asia. Many of its collections bequeathed by rich industrialists to the town, rival those held in national collections. For example, the works collected by Blackburn rope manufacturer Robert Edward Hart have been described as ‘an almost entire history of the written word’ from Assyrian tablets dating back to c.2000 BC to works by William Morris and early editions of Shakespeare’s plays. 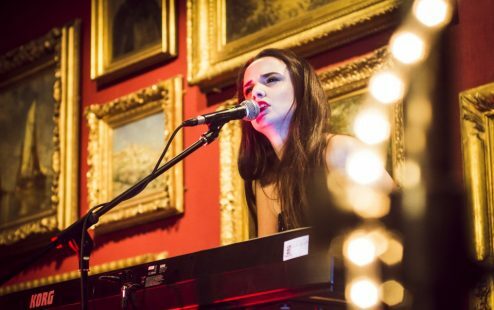 The museum also regularly plays host to a great range of events including the consistently sold out event Night at the Museum. This unique shopping area impressed judges from the Great British High Street Competition. Its independent boutique gems include places such as Eve Lingerie, that has become the go-to place for luxury lingerie and the iconic Exchange Coffee Company. The coffee roasters and tea merchants offers a vast choice for fans of both beverages in a café packed with character and offering warm and friendly service. In recent years The Mall has undergone a £66 million extension and has improved the town centre beyond all expectations. 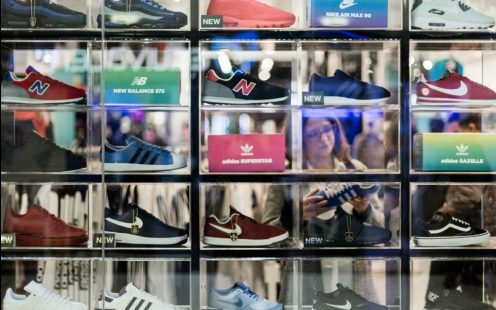 It boasts a massive two-storey Primark store, USC, H&M, Swarovski, Deichman, Tessuti and Clarks to name but a few. While WH Smiths, Next, and New Look have all moved into bigger and better stores. New names yet to open Krispy Krème, Burger King, El Taco Loco and a second Costa coffee. 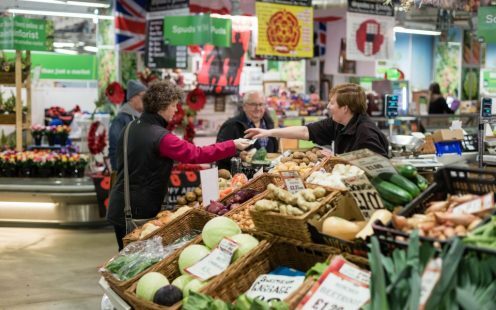 Blackburn Market is a vibrant busy market selling everything from fresh, locally sourced food to the latest technology. Occupying the ground floor of the three storey shopping centre, the contemporary market hall is modern, bright and spacious but still retains a traditional market feel. It boasts more than 120 stalls selling high quality fresh produce including fish, meat, game, fruit and vegetables. There is also a host of non food stalls selling everything you need under one roof including textiles, technology, electrical items, fashion-wear, mobile phones, cards and gifts. The bustling food hall is a particular favourite and you can try food from all around the world. 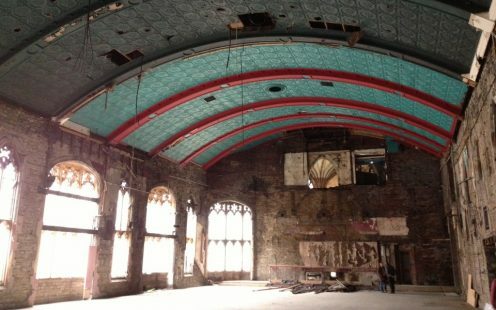 Blackburn’s resurgent nightlife has seen several new places opening up of late offering something a little different. 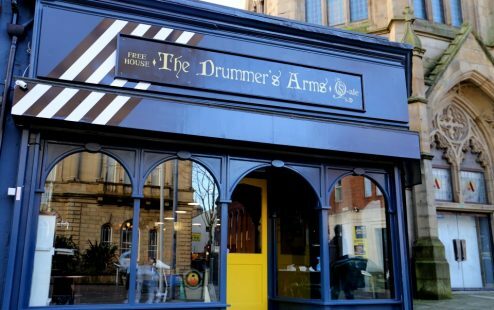 They include micropub, The Drummer’s Arms and the UK’s first community rock pub, The Sir Charles Napier. When The Napier (as it is known locally) was threatened with closure regulars got together and set up a community interest company to take it over. A grand opening saw rock legend Rob Halford invited to cut the ribbon and the pub has been going from strength to strength ever since. And don’t forget next year will see the opening of Tiki Monkey, next door to The Drummer’s Arms, it will be a new hawaiin themed bar complete with surf memorabilia. Blackburn town centre is developing a growing reputation for throwing spectacular events for all ages. Organised by Blackburn BID the Countryside Comes to Town has become a firm family favourite and attracts thousands to Blackburn to enjoy everything from Mr Bloom and his CBeebies Band to a pop up farm. And the very first Blackburn Cathedral Flower Festival took place this year. It saw people travel from across the UK to see the magnificent space within Blackburn Cathedral transformed into a floral extravaganza with displays and giant structures filling the building. 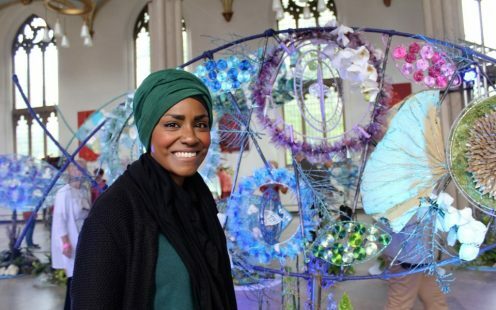 Nadiya Hussain Winner of the Great British Bake Off at the flower festival. And new for 2017 the first National Festival of Making directed by design guru Wayne Hemingway MBE will take place in May. The festival will celebrate the great manufacturing traditions of Blackburn that continue until today with the likes of Graham & Brown and Darwen Terracotta. It will see workshops, exhibitions and demonstrations taking place throughout the weekend. 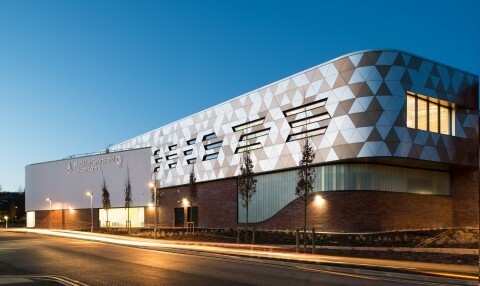 Blackburn College has significantly expanded over the last few years following the completion of a £90 million masterplan. And a joint project between the college and the Council saw the opening of the £13.5 million Blackburn Sports and Leisure Centre in 2015. Open to both students and the public it includes two flumes as well as a six lane pool and dance and fitness studios and has seen a significant increase in families visiting the town centre. Following a major investment by the Council, Blackburn Town Hall and Blackburn Central Library were restored to their former glory dramatically improving the streetscape. On the back of this, funding was secured to improve the Blakey Moor area of the town centre. 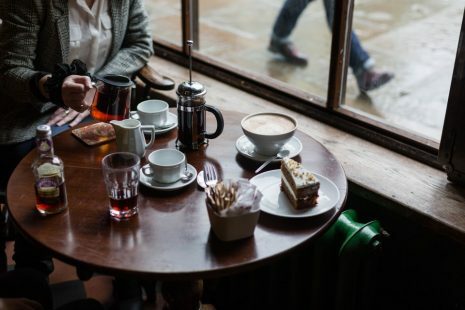 Over the next 5 years, £3 million investment will be available for heritage businesses creating new spaces for restaurants and restoring architectural features. 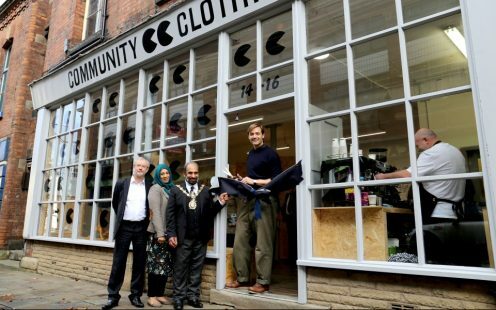 The Saville Row Tailor and presenter of the BBC’s Sewing Bee, Patrick Grant, has located his new retail business, Community Clothing in this area to support the development of a distinctive and quality independent retailers.